This brand new home has all the luxuries for that winter or summer getaway. The Oceanside Manor has very spacious living areas easily accommodating up to 10 people. The home is appointed with myrtle timber floors, huge chef's kitchen with dishwasher & coffee machine & a resort style master bedroom with wall mounted plasma overlooking spa ensuite. Free Wifi and free local, interstate calls and calls to mobiles. Central airconditioning with heating and cooling & heated bathrooms. The games room includes a pool table & a LCD television. The Theatre room boasts a large LCD television, Nintendo WII, Foxtel & dvd player. The lounge with ocean views comprises of leather furniture, ipod docking station, large LCD television & CD player. All bedrooms with modern furniture & comfortable pillowtop beds & 100% Egyptian cotton sheets. Alfresco with ocean views, BBQ & large outdoor setting. Dalyellup is located 10 minutes south of Bunbury and 2 hours south of Perth. It is the gateway to the South West Wine Region with the closest winery, Capel Vale Winery, a 15 minute drive away. The pristine white sandy beach at Dalyellup is a 2 minute walk from The Oceanside Manor and is perfect for family swimming. Morning and evening strolls on the beach are also very invigorating, maybe sight a dolphin and/or a whale!! The seaside city of Bunbury, the second largest city in WA, boasts a huge range of restaurants from informal to fine dining. The "Bunbury Farmers Market" is popular with the locals for fresh produce. Koombana Bay in Bunbury is famous for its "Dolphin Centre" and the nearby estuary is a popular "crabbing" ground during season. Scantuary golf course is located in Bunbury. Boat ramps are available in Bunbury for fishing enthusiasts. Apart from the sandy beaches and attractions of Bunbury, Dalyellup is close to the wine region of Western Australia. A half hour drive south of Dalyellup takes you to the sea side town of Busselton with its famous jetty and situated close by, world class wineries offer free wine tastings, popular with visitors. These wineries are also well known for their restaurants. Fruit orchards are located a 20 minute drive east of Bunbury and a new massive childrens playground is also located nearby in the quaint town of Donnybrook. The south west region of WA has old growth forests of Jarrah and Karri trees which support a well patronised arts and crafts industry. The south west cheese and chocolate factories offer free tastings to market their products. WE DO NOT ACCEPT LEAVERS!!!!!! Massive, well equipped amazing home. Beautiful home in an amazing location, had everything you can think of, just wish we could have stayed longer. My family enjoyed our stay there. It's a self-contained home which is close to the beach and to woolies. We would love to stay there again for our next holiday. What a beautiful home and comfortable stay. Liaising with the property own was a breeze. Thank you! Booking and liaising with property owner was so easy with prompt response. The house itself was lovely and clean, with all the comforts of your own home. 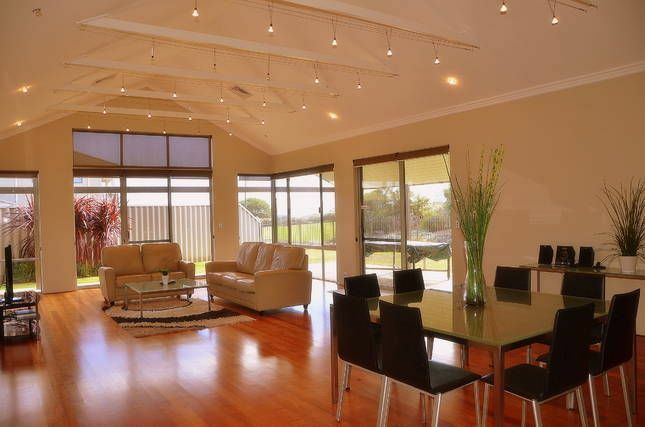 Great central location to check out south west or local Bunbury area. Would love to stay again sometime and will recommend to friends and family.